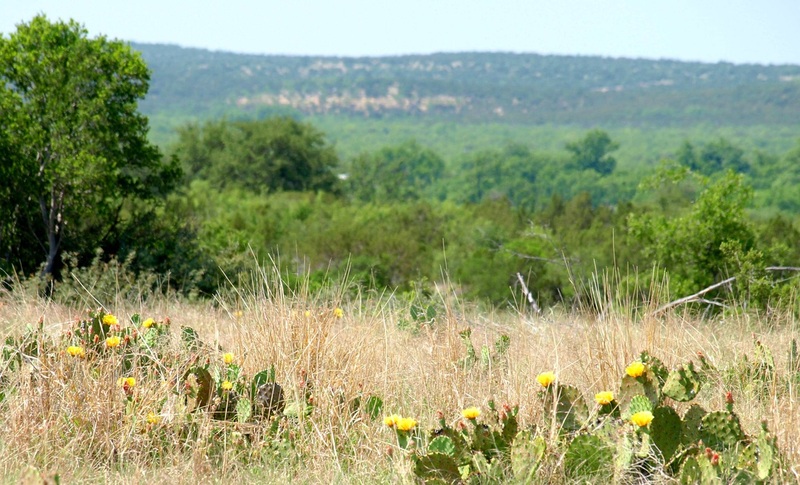 "The county embraces 1,051 square miles of rolling prairie, grass, mesquite, and, in some sections, exposed rock. 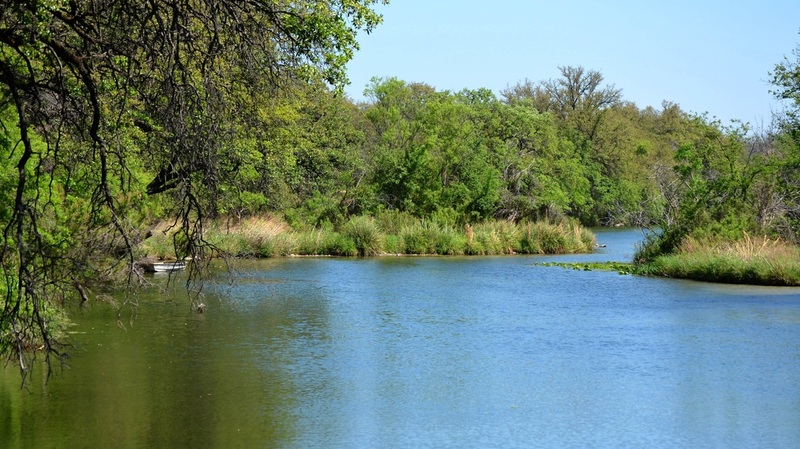 Elevations range from 2,100 to 2,600 feet above sea level. 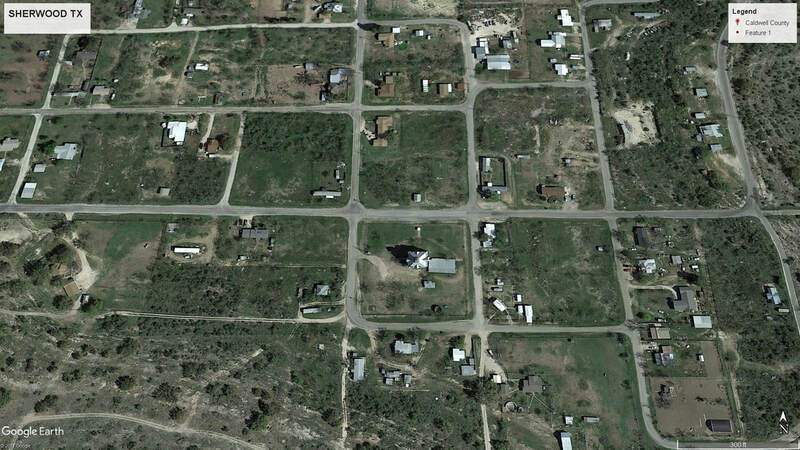 settlements were established in what is now Irion County until the late 1870s, after the Indian threat had been eliminated. 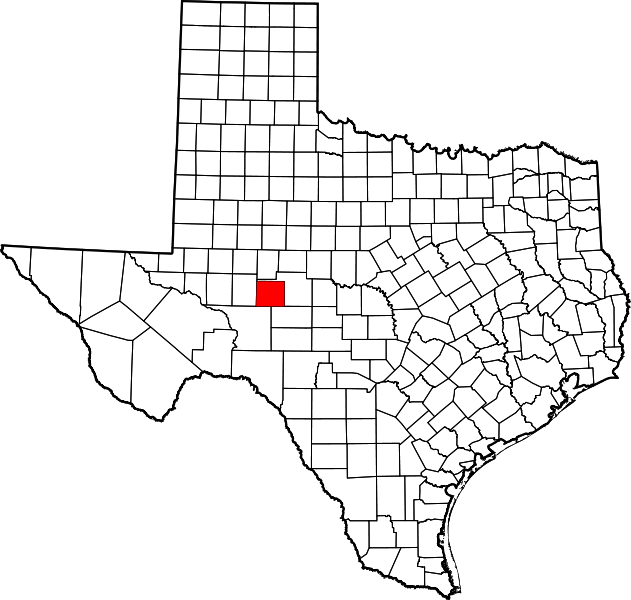 In 1874 the area became part of Tom Green County, which was formed that year from 12,500 square miles taken from Bexar County. 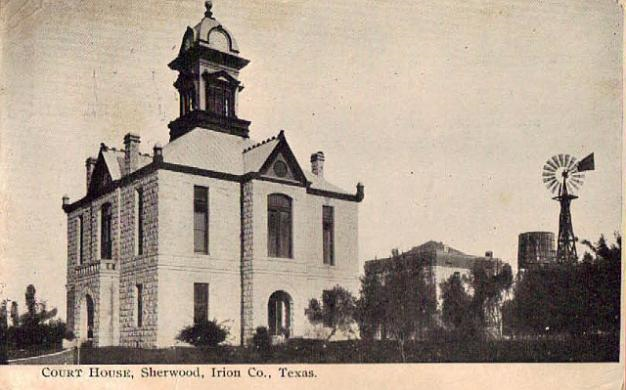 "In 1889 the Texas legislature formed Irion County from Tom Green County, and that same year the county was organized with Sherwood county seat. 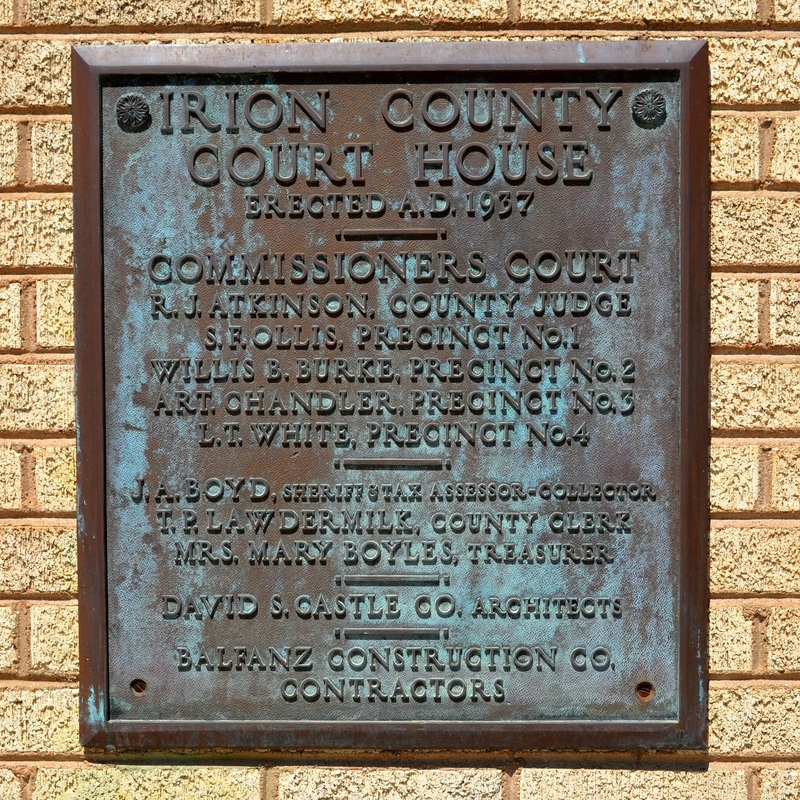 [The county] was named for Robert Anderson Irion. "Further immigration into the area was encouraged when the Kansas City, Mexico and Orient Railway slowly extended its tracks through the county between 1907 and 1911. "The arrival of the railroad also shaped the political geography of the area. Sherwood for the role of county seat. 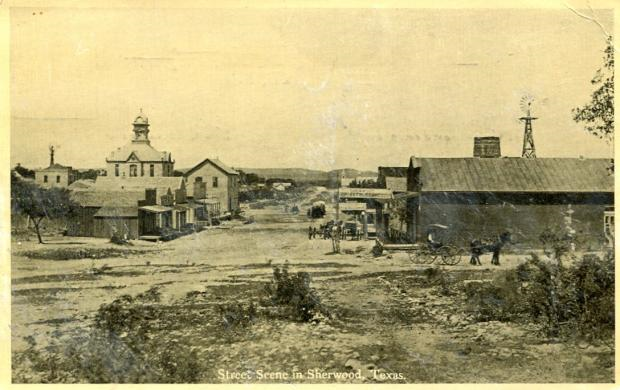 In a 1927 election held to determine which town should be county seat, voters chose Mertzon over Sherwood by 286 to 231. Sherwood retained its status, however, because a two-thirds plurality was required for a change. After another election in 1936 Mertzon was chosen county seat by a vote of 453 to 222." 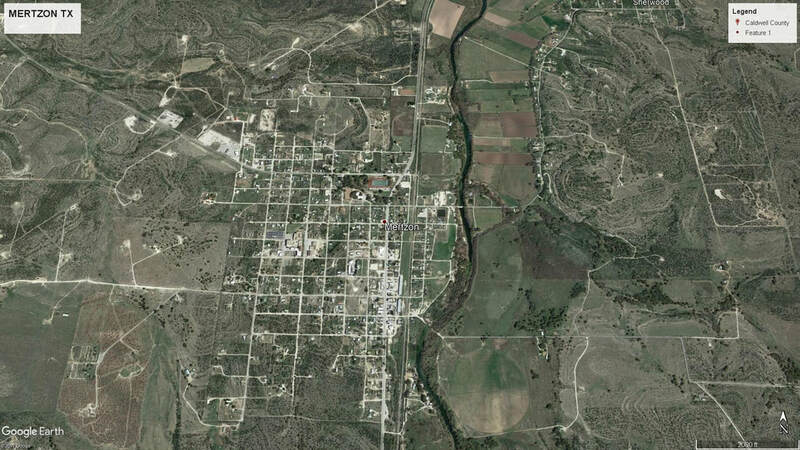 I first visited Irion County on May 11, 2009, with Clark Brannan, my uncle and mentor. A second visit occurred on May 10, 2014. One of my favorite counties. 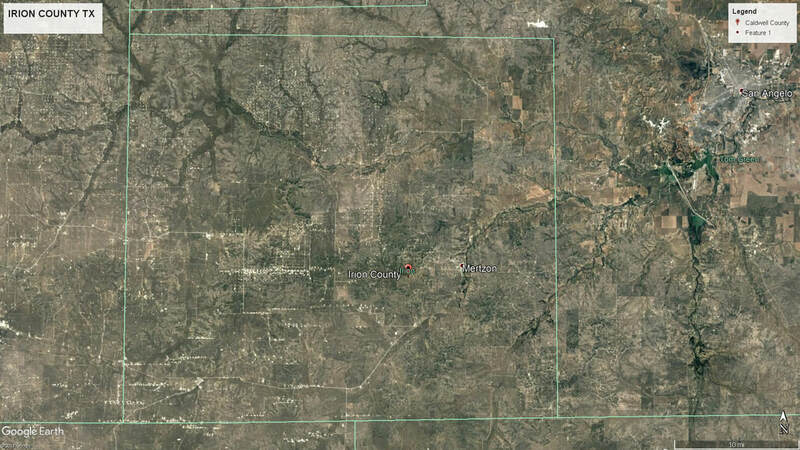 There is some water in this otherwise very dry county. 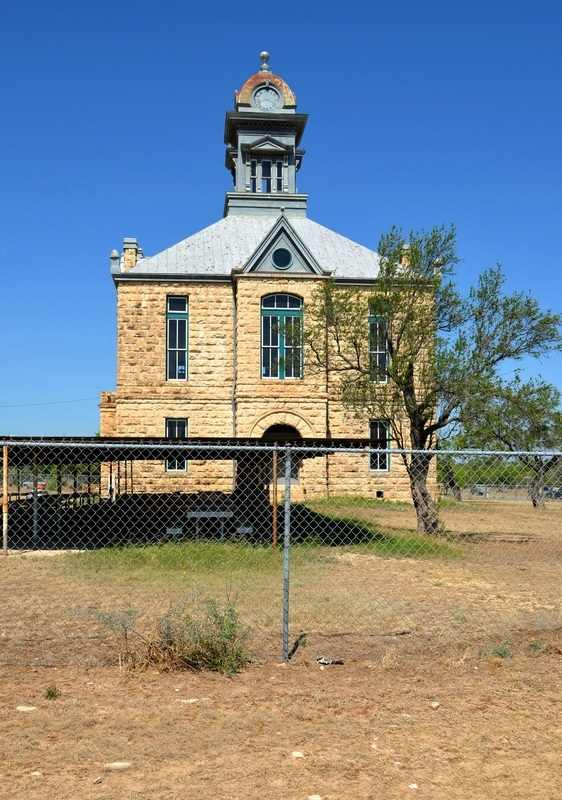 "The courthouse location and plan were typical of Texas tradition dating back to the first half of the nineteenth century. The structure is situated in the center of the old town square. The ground-floor plan, is square with four entrances and corridors crossing at right angles, and had been employed for many other courthouses. In the four quadrants were three offices and a vault. However, the second-floor plan with the courtroom at the east end and jury rooms and stairway at the west is not so common. 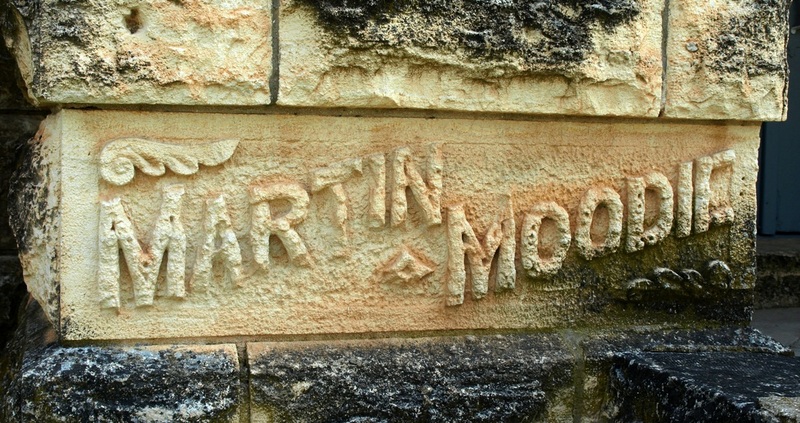 "The quarry-faced ashlar limestone is outstanding. Also noteworthy at each entrance, are the Roman arch extrados terminating at sculptural features with simple foliated designs and features encircling likenesses of owls. "Since the building is square, the four facades are similar. 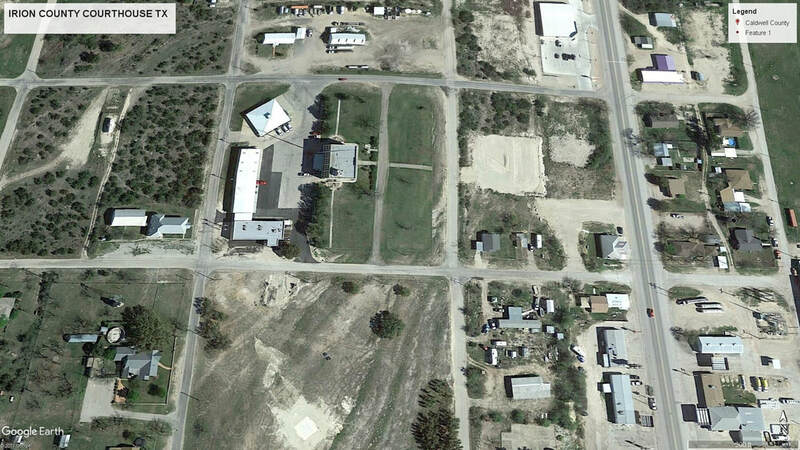 The north and south elevations are identical as are the east and west elevations. 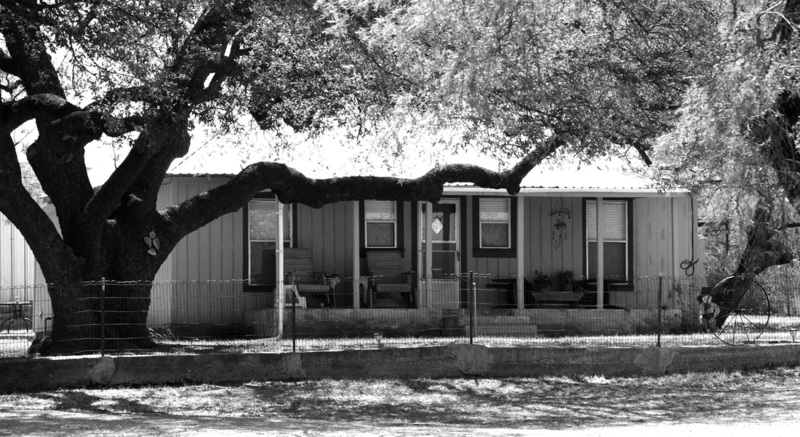 On each side of the ground level are arched projections which create shallow porches. 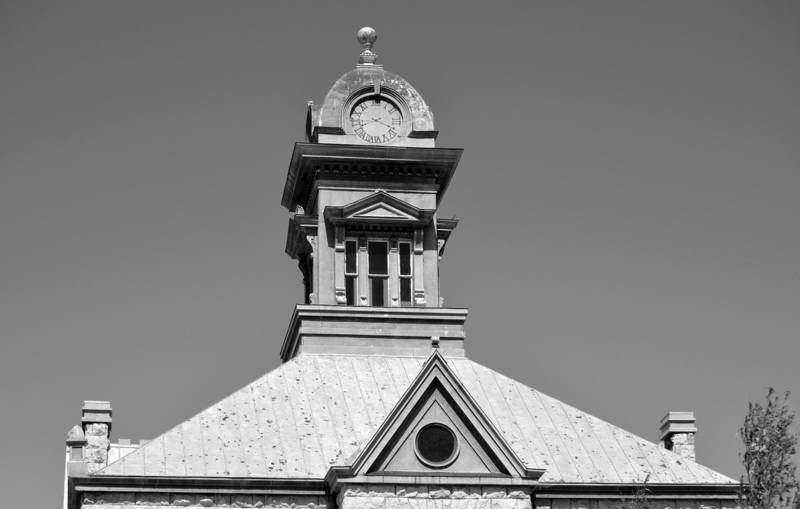 On the second story, these projections continue to the roof, creating an alcove on the east for the bench in the courtroom." 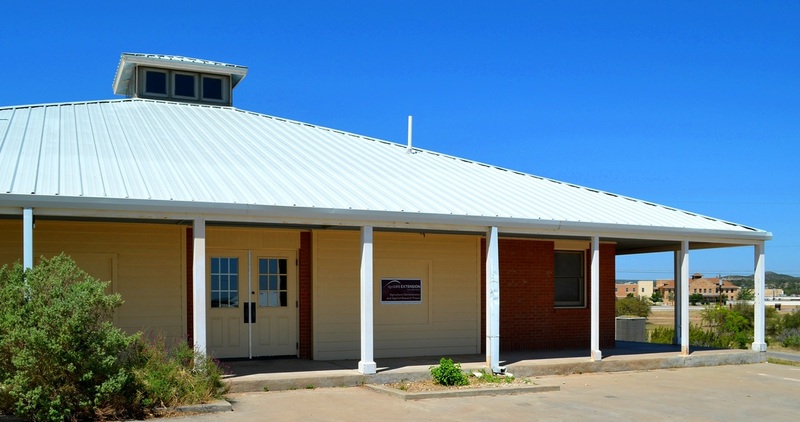 Since 1936, the Sherwood courthouse has served as a community center. A chain link fence surrounds the grounds, protecting the building from casual vandalism. New windows were installed in 2009. Hoo can resist an owl? Hoo knows why they didn't carve more owls? The second floor courtroom needs some work. The roof framing is massive and covered in bird "poop." Uncle Clark Brannan, my mentor. 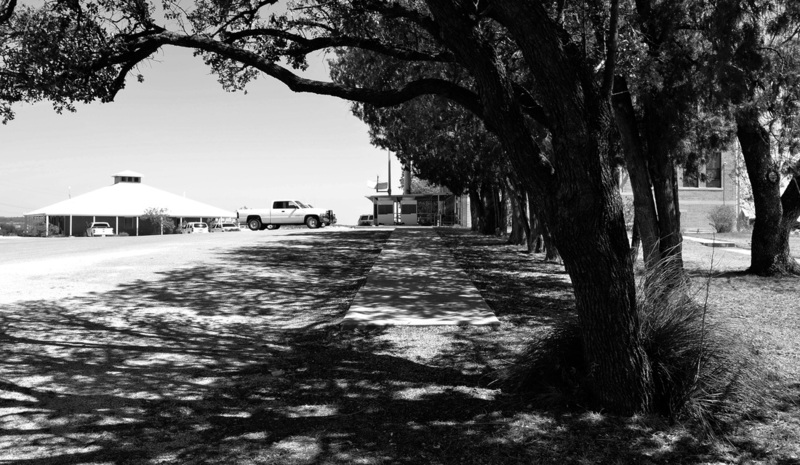 On the courthouse square, Sherwood, Texas. 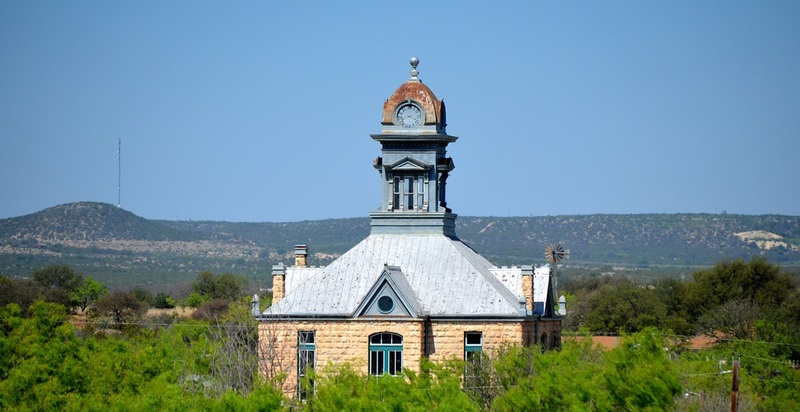 Mertzon became the seat of Irion County government in 1936. 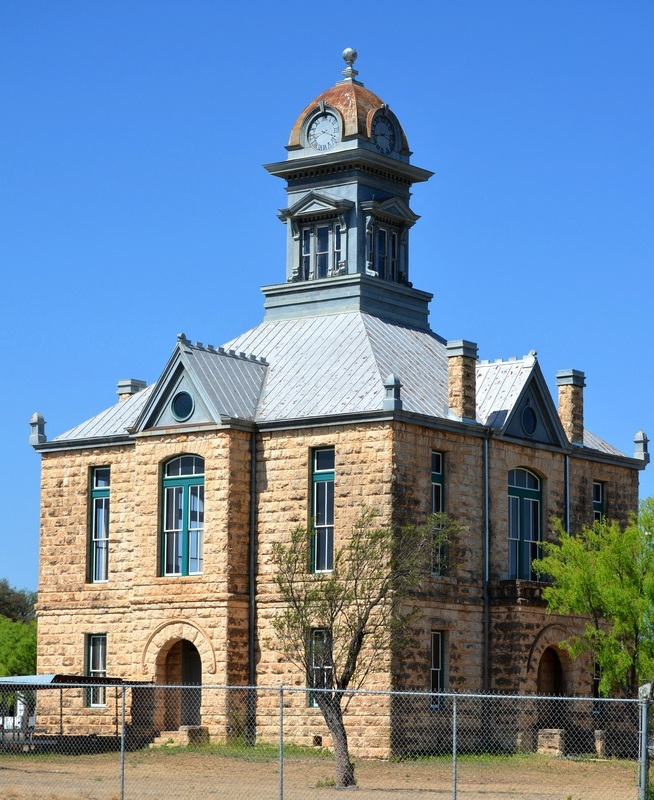 Needing a new courthouse to replace the historic Sherwood building, the county turned to David S. Castle, an architect in Abilene. 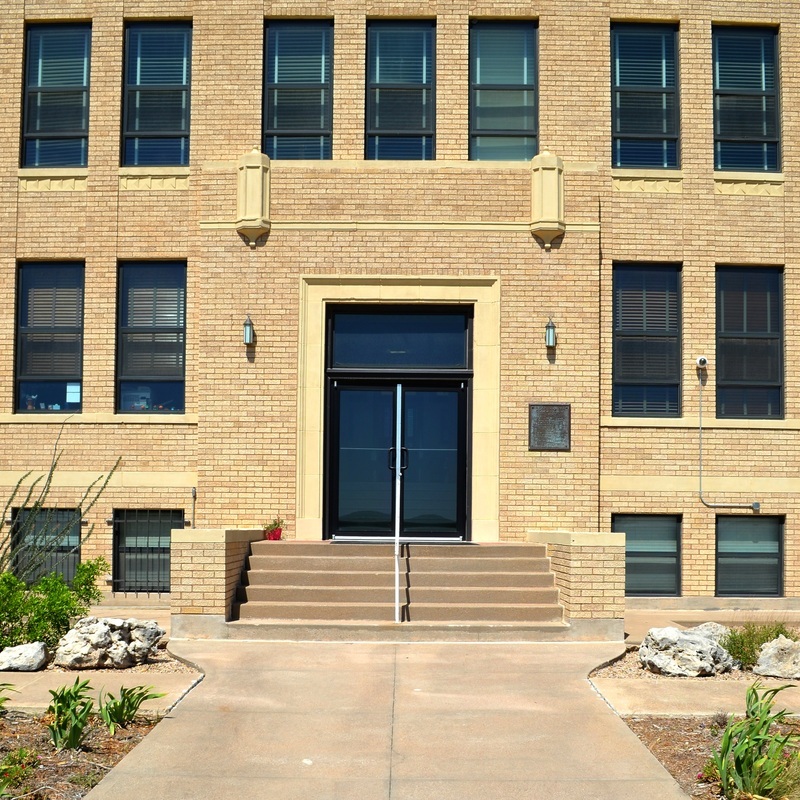 Castle's design for the new Irion County courthouse reflected a new, modern and efficient approach to civic buildings. 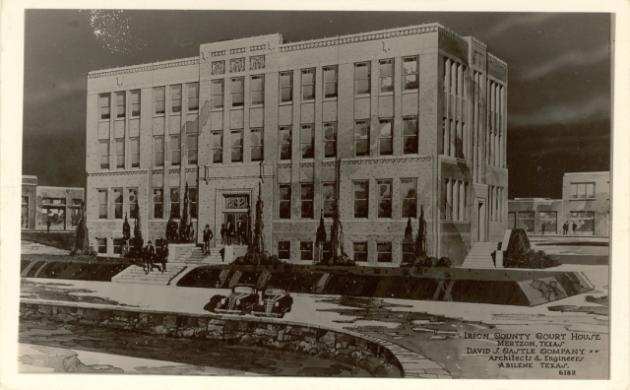 The Mertzon courthouse bears little resemblance to the Sherwood building: There was no central tower for starters; the floor plan was rectangular, rather than a square; the building was first and foremost an office building. This pragmatic approach to housing the county government resulted in a courthouse that is functional and no-nonsense, with ornament that is applied sparingly. Only the dramatic hilltop location speaks to the civic importance of this building. Oddly, Castle's rendering (at right) illustrates a far different, urban location.